Remove underarm hair with laser at lower price! 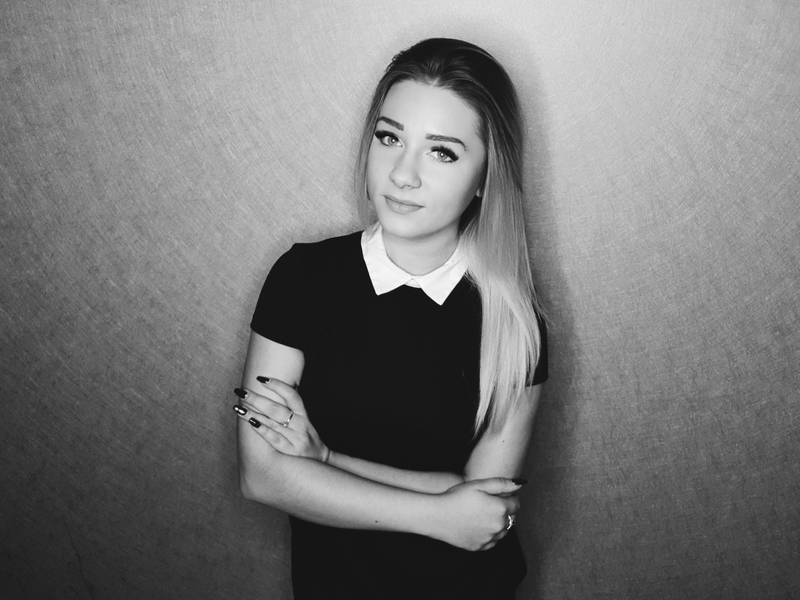 I wanted to create a place, which would satisfy the most demanding women. 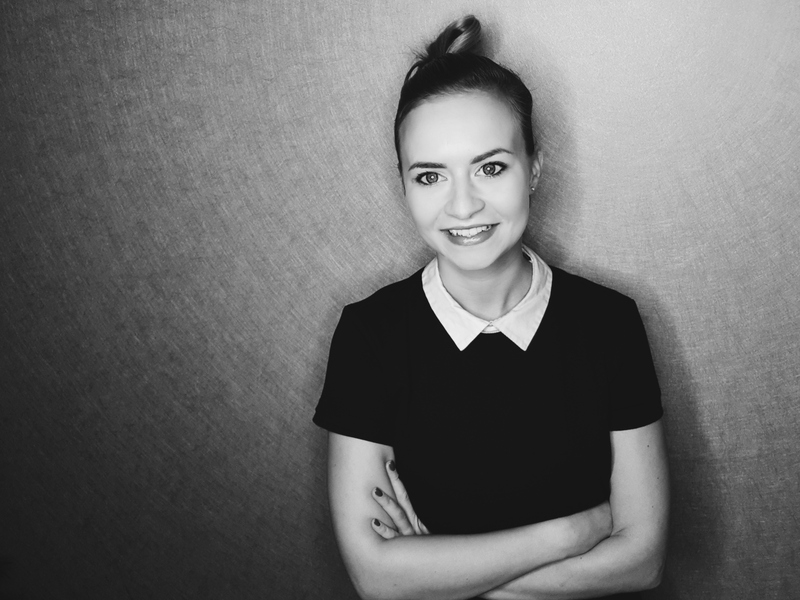 I have borrowed the patterns from the most reputable, world-known brands in the cosmetic industry. 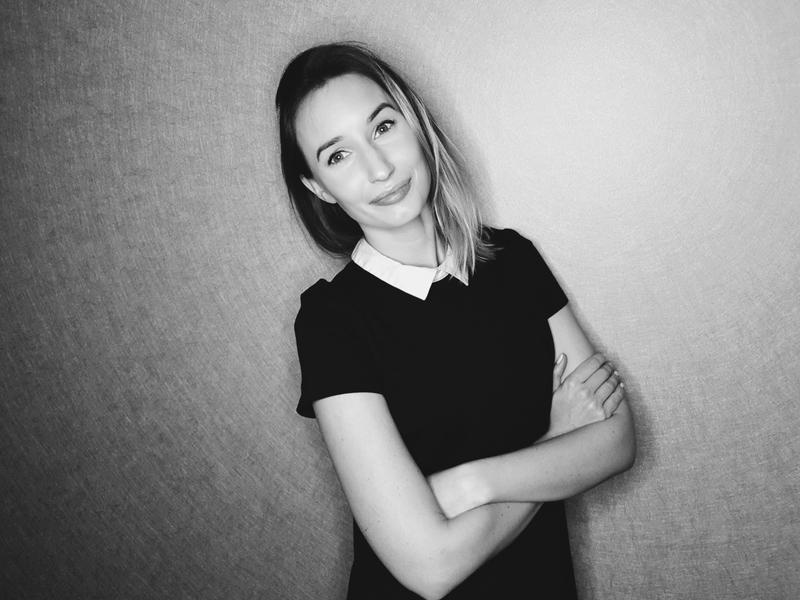 I was creating this beauty parlor for busy businesswomen, tired moms, working students. Every woman deserves a moment for herself – in a comfortable environment, friendly atmosphere, in a suitable and intimate setting. Distinct and with class – be the star of the evening! We will discuss your needs with you and make sure that your look will attract all the attention you want. Business meeting or important visit? 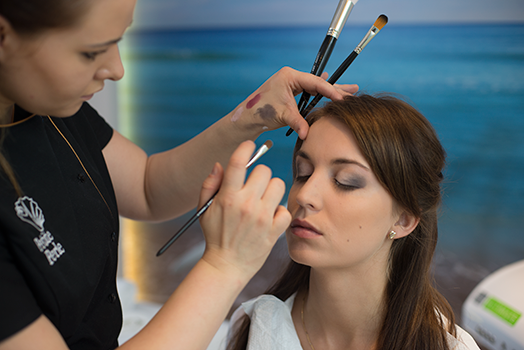 Subtle and with class – professional daytime makeup will help you achieve every goal. It is the most important day, your look will change the world and enrapture everyone! 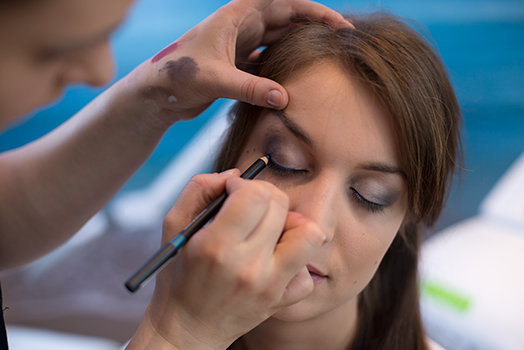 We offer the wedding makeup in the trial package. We are cooperating with world-famous brands because when you expect genuinely professional effects, there is compromise. 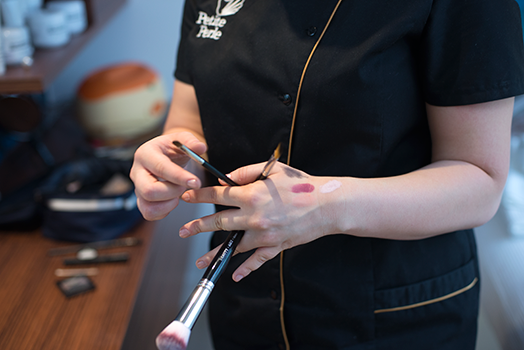 We recommend Make-up Studio Professional in Petite Perle. 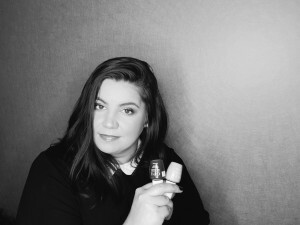 This is a brand from Amsterdam established in 1980 by one of the first makeup artists. With a use of needles active substances in the form of cocktails are introduced into skin to significantly improve its condition. The cocktail is selected according to your needs. 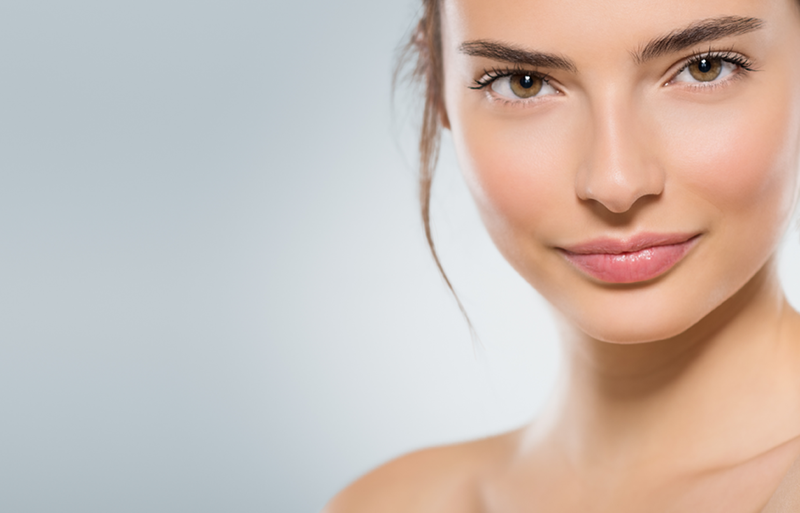 NIR Soprano Thermolifting is an alternative to plastic surgery. 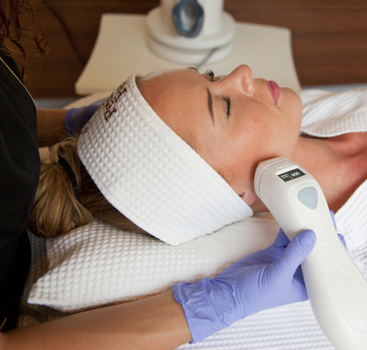 Minimally invasive method that eliminates wrinkles, firms the skin and improves its tension. 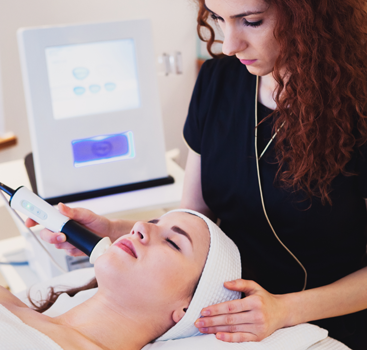 Emerge™ Fractional laser is designed for resurfacing (skin rejuvenation), removal and reduction of superficial imperfections. Emerge™ is certified reduction of wrinkles. 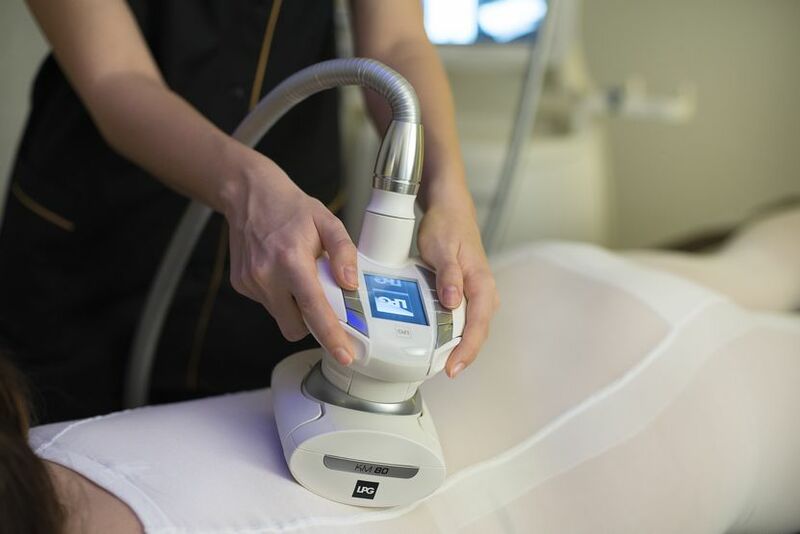 The new generation Super Hair Removal technology guarantees virtually painless depilation. 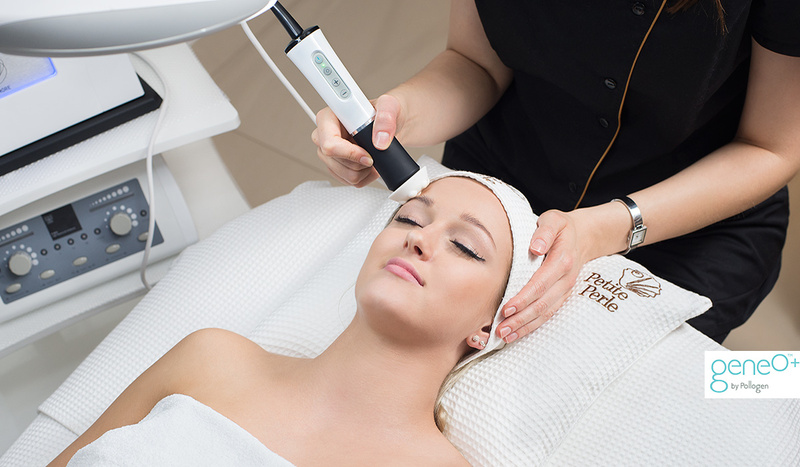 By applying the new head of the ICE numerous cooling pumps, the skin during treatment is more strongly cooled. Your individual Lipomassage program is arranged after assessing your body type (Android|Gynoid) and is well-matched for you in order to achieve the best results. 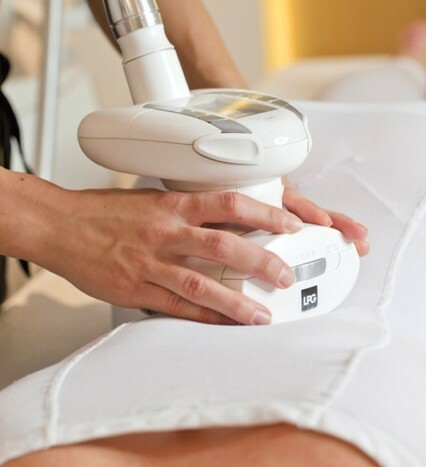 Our treatments program is based on the LPG Lipomassage by ENDERMOLOGIE slimming technique. The most advanced LPG device in Tri-City in Poland. A patented slimming technique activates the process of releasing fat. 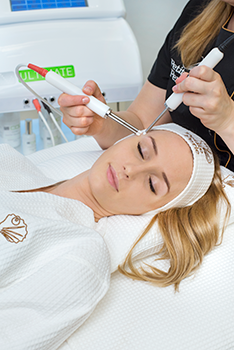 ANTI-AGING treatment of celebrities performed with the use of the most advanced device in Tri-City – CACI ULTIMATE. It lifts, firms, shapes body contours. Eliminates wrinkles, acne lesions and stretch marks. GeneO treatment mean nature-inspired care. It makes use of biological mechanisms of our bodies and effects in rejuvenating, oxygenating and brightening the skin. 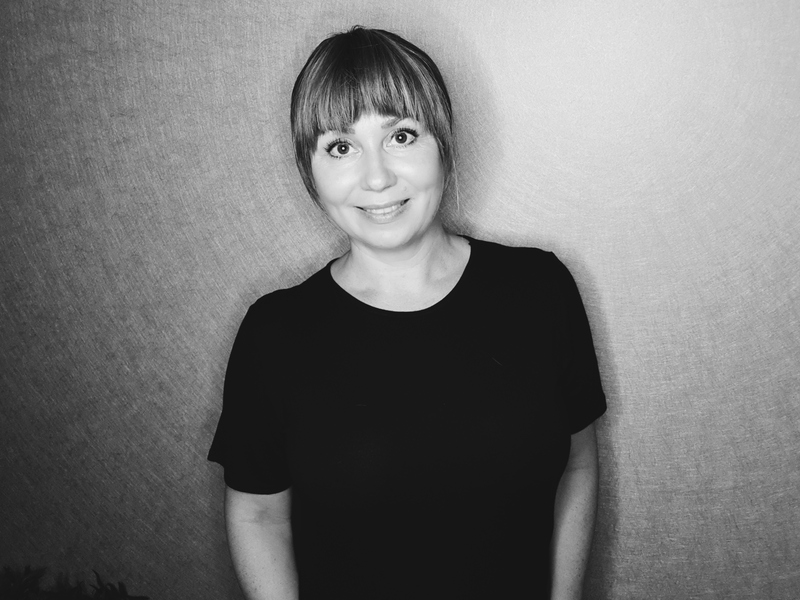 We offer the most desirable non-surgical treatments. 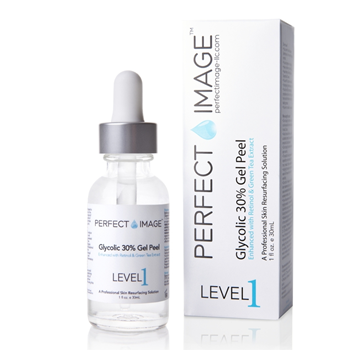 Visible results without a scalpel, the pain and side effects. 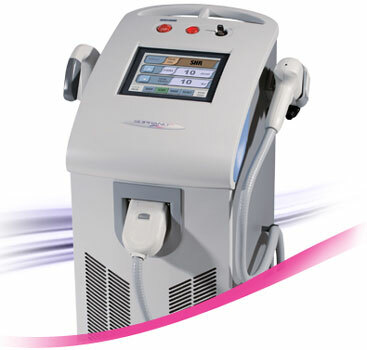 Anti-cellulite Massager combines the massage’s beneficial influence with the microcurrent efficiency. It strengthens muscles and reduces waistline by stimulating the lymphatic drainage and shrinking fat deposits. 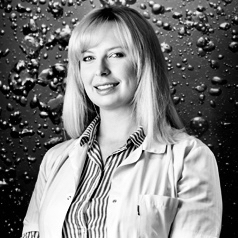 A patented slimming technique activates the fat releasing process (lipolysis). 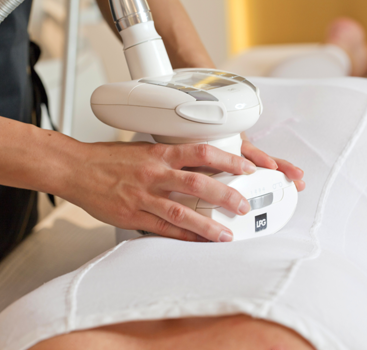 This recommended treatment accelerates lipolysis up to 50%. 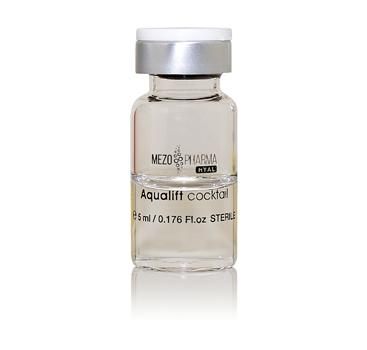 In effect, it quickly reduces troublesome fat deposits. The program is recommended for upper and lower body and it is SLIMMING and FIRMING. 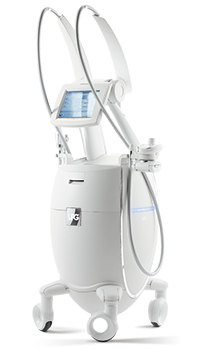 LPG (aqueous cellulite) drainage treatment means active drainage stimulation and cellulite smoothing in the legs and hips area. 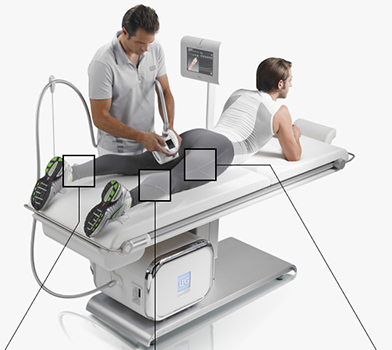 Automatic stimulation triggers a biological response of the body and accelerates the water flow. It eliminates imperfections, shapes legs perfectly and reduces the orange-peel effect. 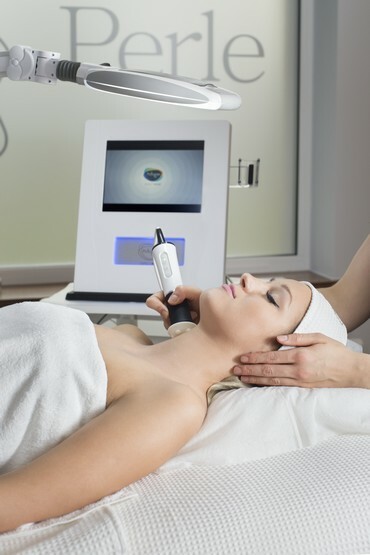 MicroBubble Technology GeneO means extremely quick beautifying treatments. 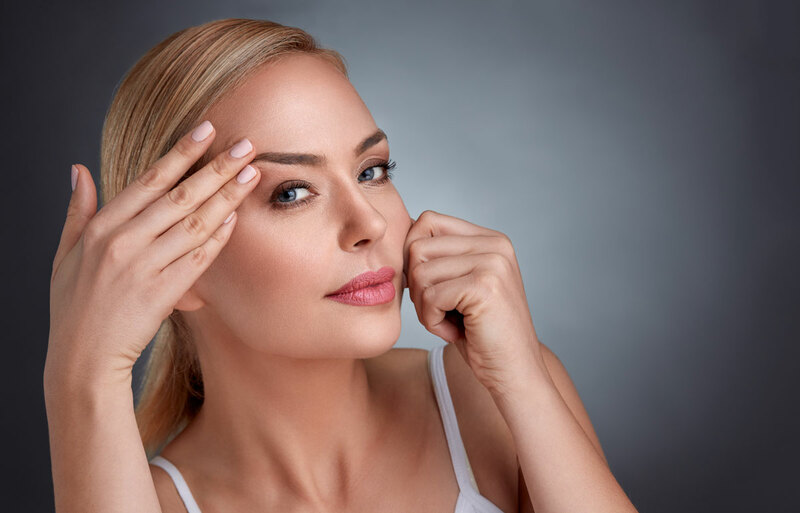 By making your skin brightened and rejuvenated during the quick beautifying treatments you will experience real rejuvenation of your face skin. Inspired by nature. 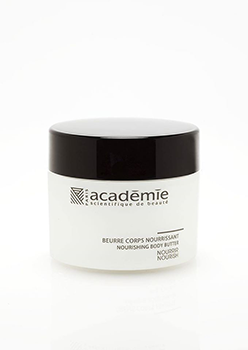 We use only the best beauty products of Academie Scientifigue de Beaute brand in Petite Perle because your skin is special.GOLDEN FIRMING or CRYSTAL MEADOW – these are only the few of the rituals prepared especially for you. 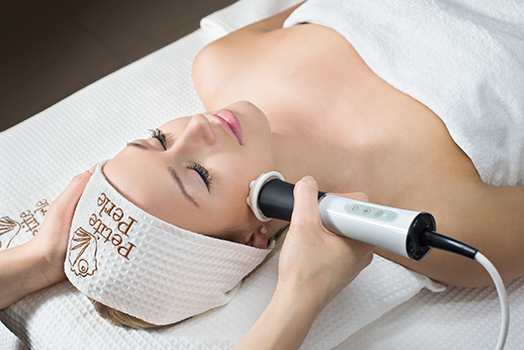 Depileve brand is the world-famous lieder in professional hair removal and, for over 30 years, it is present in 96 countries on 6 continents. Depileve waxes contain over 70% of natural resin. Herbal extracts of azulen, lavender, karite butter, olive oil and other valuable ingredients enable Depileve to adjust waxing individually to the needs of the most tender and sensitive skin. 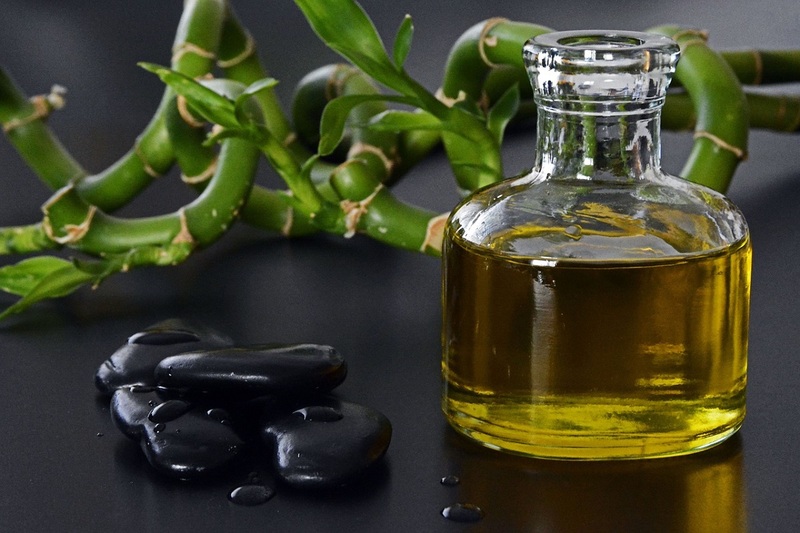 Depileve waxes, unlike other waxes available on the market, contain an exceptional high percent of resin extracted from the best pine species, from refined, reliable sources. This makes Depileve waxes perfectly attached and sticky. Your hands and feet deserve a perfect care. Give yourself a little beauty! 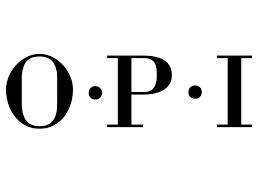 Thanks to our cooperation with the OPI company we have a wide range of excellent products at our disposal. Wide range of beautifying treatments for feet and hands take place in a dedicated room. 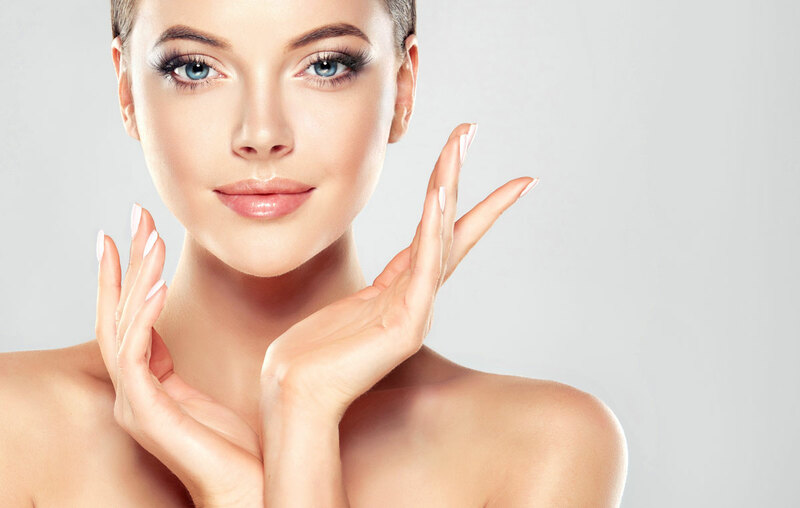 We ensure the highest quality of our services and special sterile packages or individual packages guarantee the greatest concern for hygiene in our beauty salon. This treatment lasts 1,5 hours and will make your tired feet feel fresh and light. LPG® company’s treatment technique can cause loosening stiff areas near joints. It enables for almost painless stretching and mobilization of skin, tendons, etc. Reduces excess fat. Slims the waist and abdomen. Intensive and technologically advanced formula surgery in combination with selected programs for men LPG equipment ensures the effectiveness of the treatment. Feel young and manly. 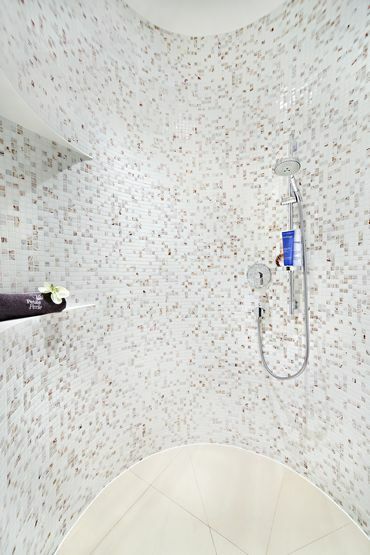 Try the purifying and energizing treatment. 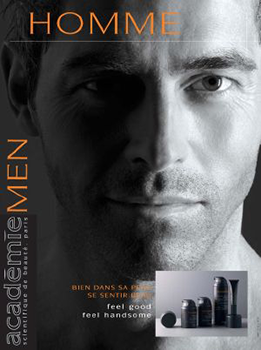 The treatment is performed with the luxury cosmetics of MEN Academie line. In package of 5,10,15 Endermologie tratments, Endermowear suit FREE! 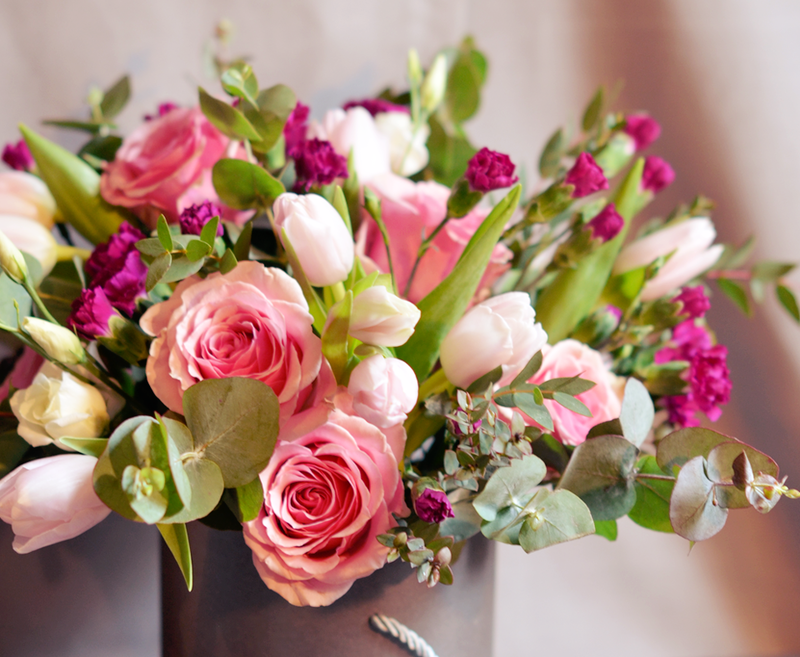 – Gift voucher can be used only in Petite Perle. – Gift voucher can’t be returned or exchanged for cash. – From the moment of buying the voucher, the salon is not responsible for its destruction or loss. 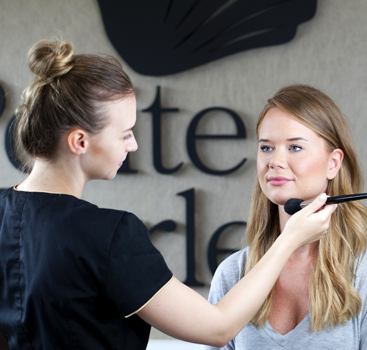 – Petite Perle doesn’t duplicate gift vouchers. – The voucher is valid for 6 months from the date of purchase. – You must present your voucher before completing the service. – Voucher is an invitation for only 1 person, the owner of the voucher is required to book an appointment by phone or at the reception. 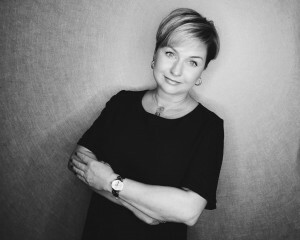 – Voucher can not be exchanged for retail cosmetics, only for treatments. – An appointment must be canceled at least 24 hours before its date. -In the case when the visit isn’t cancelled, the voucher is forfeited. W związku z przesłaniem przez Ciebie Twojego adresu mailowego oraz imienia i nazwiska w celu zapisania się do newslettera na naszej stronie internetowej (http://petiteperle.pl/) nasza Salon – SALON KOSMETYCZNY PETITE PERLE KATARZYNA PLECHOĆ z siedzibą w Gdańsku jest administratorem Twoich danych osobowych. – ustalenia, dochodzenia lub obrony roszczeń związanych z przesłaniem wiadomości lub z przetwarzaniem Twoich danych osobowych – ponieważ przetwarzanie jest niezbędne do realizacji naszego prawnie uzasadnionego interesu (art. 6 ust. 1 lit. f RODO). w przypadku przetwarzania w celu ustalenia, dochodzenia lub obrony roszczeń związanymi z przesłaniem wiadomości lub z przetwarzaniem Twoich danych osobowych – do momentu przedawnienia Twoich roszczeń z ww. tytułu albo do momentu wniesienia przez Ciebie sprzeciwu, o którym mowa poniżej. W celu skorzystania z powyższych praw możesz się z nami skontaktować się – dane kontaktowe jak wyżej. Ponadto masz prawo sprzeciwu wobec przetwarzania danych osobowych w celu ustalenia, dochodzenia lub obrony roszczeń związanymi z przesłaniem wiadomości lub z przetwarzaniem Twoich danych osobowych. Przyczyną sprzeciwu może być wyłącznie Twoja szczególna sytuacja. Po otrzymaniu sprzeciwu przestaniemy przetwarzać Twoje dane, o ile nie będziemy w stanie wykazać, że Twoje dane będą niezbędne do ewentualnego ustalenia, dochodzenia lub obrony roszczeń. W celu skorzystania z prawa sprzeciwu możesz skontaktować się z nami – dane kontaktowe jak wyżej. 1. 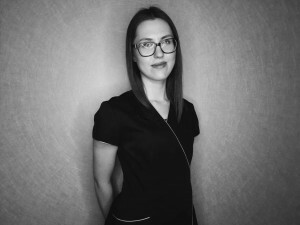 Administratorem Twoich danych osobowych jest Salon Kosmetyczny Petite Perle Katarzyna Plechoć z siedzibą w Gdańsku.